The following visual elements are covered by the Creative Commons (BY) license and are provided here for your personal, creative, or commercial use. Please follow that link to learn the requirements for using these works in this way. 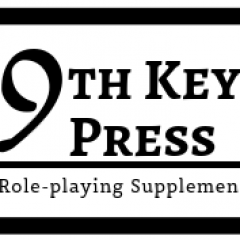 If you use any of these elements you should attribute 9th Key Press or Patrick McGill of 9th Key Press. We would appreciate it if you contacted us when using any of these elements so that we can check out your project and spread the word. BatCC, CatCC, CowCC, OwlBearCubCC, Princess SlimeCC, and SquirrelCC by Patrick McGill are licensed under a Creative Commons Attribution 4.0 International License. OrcLairCC by Patrick McGill is licensed under a Creative Commons Attribution 4.0 International License.